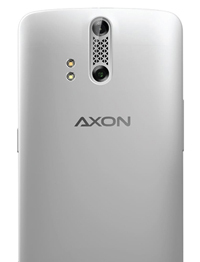 Axon has all of the camera options you asked for, and some you never imagined. Take high-quality photos with its dual-lens camera, which gives you quick auto focus to capture the action as it happens. Shoot 4K HD videos. Or use the smile-activated front-facing camera to step up your selfie game. Whether you're listening to music on a run, at the gym or at home, nothing sounds better than Hi-Fi audio, especially through the amazing JBL in-ear headphones that come with every Axon. 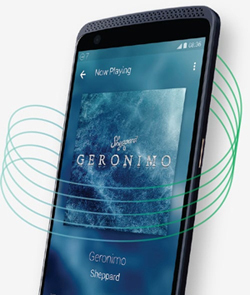 Axon's amazing high-fidelity sound playback gives your music fuller, louder and purer sound quality than ever before. Twin microphones, along with some of the best in noise suppression technology, help eliminate background and wind noise when recording concert videos and voice calls. Beauty. And a total beast. Inspired by your suggestions, Axons super-simplified Android interface pairs full-bleed images with large, elegant type for a high-end look and feel. It also comes with 4GB memory and a large battery for all-around high performance under the hood. Your understated, yet instantly recognizable sense of style is all over Axon, including a sleek metallic body and signature grill design. The intuitive interface that displays what's important and hides what isn't. 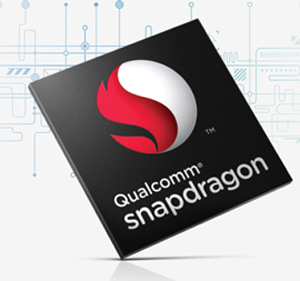 The Qualcomm® Snapdragon™ processor, the "ultimate connected computing processor," with its computing power, speed and leading modem capabilities, is designed to enable the most advanced connected mobile user experiences, including streaming HD video, sharing top-quality digital photos, online 3D gaming, and virtually seamless communications, along with outstanding battery life for premium smartphones like the Axon. Enjoy the latest from Google and the accessibility of apps from Google PlayTM and other to run right through your ZTE Axon. You can also easily sync your device with other Android devices, such as your Android smartphones and tablets. 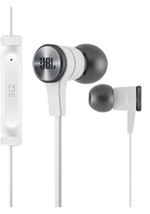 Buy Axon Pro today and receive the JBL E13 in-ear headphones at no additional charge. Even the best phones aren't invincible. If life takes a toll on your Axon, ZTE has you covered, with the world's best mobile protection plan: Passport 2.0. Compatible with GSM networks including AT&T, AT&T Go Phone, MetroPCS, Cricket, Tracfone (Access Point Number Preloaded by ZTE). Compatible with GSM networks including StraightTalk, Wal-Mart Family Mobile, Consumer Cellular, Net 10 Wireless, Simple Mobile, GoSmart Mobile. Red Pocket Mobile, CampusSIMs, Ultra Mobile, EcoMobile, Lyca Mobile, Univsion Mobile, Ting (No Access Point Number Preloaded, some requires manually setup and some would automatically pop up). 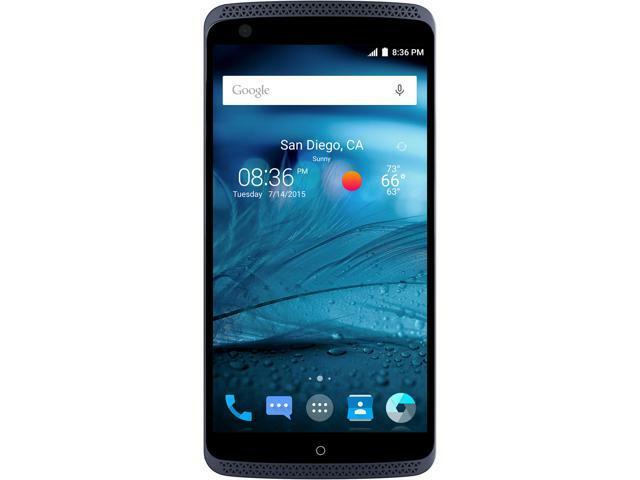 ZTE Axon/Axon Pro is not compatible with CDMA networks such as: Verizon, Sprint and US Cellular. 6.06" x 2.90" x 0.37"
This item is covered by Newegg.ca's Non-Contract Cell Phone Return Policy. Pros: the price for the hardware in the phone..
Other Thoughts: stay away from ZTE better companies out there that care about the people who buy there products . Pros: 4gb, 64gb, anti-microbial screen, makes it very easy to clean, comes with $50 headset (what Android phone comes with JBL headset? ), TWO(2) year no-fault free shipping Warranty, NFC, Quick Charge, VoLTE, WiFi calling, Band 12 support, excellent customer service, FM Radio, and many, many more excellent features. Phone runs perfectly for me. 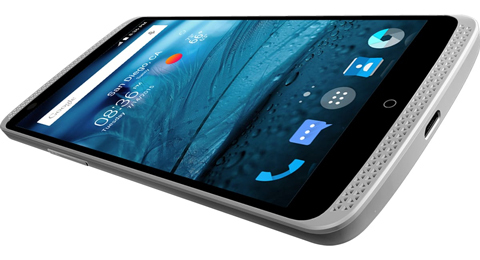 Other Thoughts: The Android 6.01 has so many better features on the Axon Pro. The Dolby sound is amazing, makes any headset sound great. I'm looking forward to the 2016 version, the value of the Axon is fantastic. Anyone that prefers the failed Oneplus 2 is a liar. Pros: Its a good phone plays the games i want it to. i use it for work everyday. I fix printers/ computers for my work so i am always load PDF and stuff like that. Cons: Marshmallow on this phone is far from stable. I have never seen so many apk crashes before on any phone I've ever owned. The experience is nerve racking to say the least. I would venture to say that the software isn't far removed from the end-alpha stage. This brings me to my next con. I was pretty disappointed in the camera. The image quality is just not that good, specifically in low light conditions. To add to that, the camera app kept crashing. The camera apk does have plethora of features but what good is it if it's completely unstable? I want to be able to pull my phone out of my pocket and know I'm able to capture images right in front of me without an issue, I would not rely on this phone in such a situation. The device does not have much bloatware which may seem like a pro, but the bloatware it does contain is a nuisance to say the least. The Argus step counter app is constantly in the way, staring at you from the notification center and has no option to hide it. If that's not bad enough, the step counter is completely inaccurate, making it pointless. 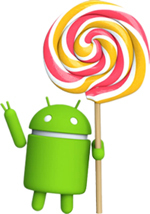 Disabling the app in Android itself is your best bet. Rock My Run cannot be disabled in the new Marshmallow update so it's essentially "forced" bloatware. The Yahoo sports app refused to open without crashing regardless of what I did, forcing me to disable it completely. Even the settings app has crashed on me a few times. Why was none of this tested prior to pushing the 6.0 OTA update? Seriously? On top of that, the battery life is aweful and the Marshmallow update seems to have possibly made it worse. I have my more cons but cannot remember them. Bottom line: It has great specs coupled with horrible/glitchy software and bad support. Don't buy it. It's a disappointment at best! Other Thoughts: Get a One Plus 2 if you can or just about anything else in this price range because it's better than this. Remember, specs are pointless without the software to back it. This phone exemplifies that statement perfectly. 4 out of 10 people found this review helpful. Did you?